To withstand the tough competition of the market, ensuring an active online presence is just not enough. In today’s world, when the real world is running in parallel to the virtual world, your online presence needs to stand on top of all search results. And with the advent of so many new web concepts and procedures, it has become much easier to win the top position of search results. But just by knowing the tricks you cannot win the game as you should also know to use them smartly and correctly. Implementation of these tricks on right time also plays an important role. From framing the structure of your website to designing its viewer’s outlook, use of proper keywords to unique content positioning; everything plays a major role in making your website stand out of your competitors. To ensure a safe positioning of your website, a webmaster needs to take every point of your website into his consideration. In order, to make your website get on the top position of search results, you need to consider every point of your site and that should be started right from the day of your planning a website. Among the many checkpoints, that are always needed to be taken into consideration, the one and most important point are SEO (Search engine optimization) best practices. Picking of proper keywords is an essential need to gain positions on Google search but overusing of them may hamper the content quality of your website. While framing the content for your website, one needs to be creatively smart in order to use keywords efficiently in a dignified meaningful way. The use of keywords should be done in such a way that it neither looks overused nor does it sounds misused and still, it manages to win the search result countdown. Be it your own website or from another’s website, never ever try to copy and paste the content on your website. As, whenever you copy and paste a content from any site, you lose the originality of your online presence which ultimately slows down your search position on Google. The content that you put down on your website needs to be 100% unique and original. This will not only make your website withstand the tough competition of your competitors but will also deliver better search positions. Making use of hyperlinks that have been misspelled or has been dumped off can ruin your Google search positioning. Even the bad links or misleading links are enough to mark a bad reputation for a website. So, always keep a keen eye on all those links that flash on your website. And don’t forget to check and maintain them periodically. While crafting a unique content for your website never try to make an overuse of fancy words. The use of fancy words will not only turn off the mood of a regular visitor but it will also make it difficult for a search engine crawler to index and find it, which will ultimately ruin your search engine positioning. In order to make a website more captivating and appealing, pictures and images are often used along with content. Use of pictures and images surely enhances the appeal of any website. But, if you are using these pictures without optimizing them, then they are surely not going to pay you off. In order to optimize pictures with your web content, you need to make use of image tags. The ALT tag below every image will add an extra point to win the search results. It might sound strange but it’s true. Today’s users don’t like to wait for long in order to visit your website and if your website is taking too long to get a load on browsers, then chances are that users will shift their interest to some other website. Even, for Google slow and steady is not going to win the race. The page load speed might not be the key factor but is surely an important factor in a positioning of your site in search results. Just like your business, if your on-air site is positioning well you cannot avoid it. 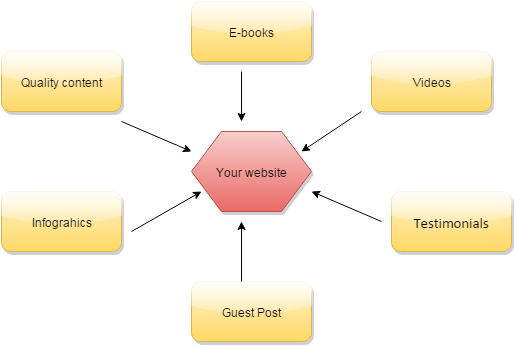 To stay in that position, you need to analyze your web content periodically. You need to know the best functional and the worst functional sections of your website and need to work on them consistently in order to maintain your good reputation in the e-world. How to do an SEO audit. A website on a FLASH background might look appealing but for search engines, your website needs to have an HTML background. And if your website cannot manage an HTML background then, at least, make an alternative HTML version of it so as to win the top-notch results of search engines. Last but not the least, you need to optimize your site as a whole (with content, images, and video) in order to enjoy the fruitful results of search engines. Optimizing every bit of your site will not only lead to a top position in search results but will also make your site a worth visit from a users point of view. How to make your website SEO effective and efficient. By ensuring the above SEO mistakes to avoid in your mind, we are sure you will be able to maintain your site’s originality and integrity in a better way. And you can also fix half of the search engine problems that you have faced till now for your site. So, to win the game of top Google positioning, keep them in mind and enjoy the game of SEO. Blogging is hard. But even harder when you have to worry about SEO. Thanks for the tips!